A smart makeup / handbag hybrid that marries style and practicality with 3 inside pockets and a flexible locking frame that folds down to magnets. Disclaimer: The above brands are mentioned for compatibly purposes only. Henry Charles is not affiliated directly or indirectly with these brands in any way, as these brands may or may not own their registered trademarks, which are separate from and not to be confused with the Henry Charles brand. Southwest Sunrise Collection: Neon coral coated cotton canvas with embroidered pattern trimmed with grey and metallic exotic vegan leather. We think you deserve it. 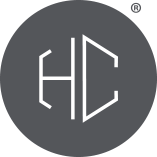 Enter your email to save 10% off your first order with Henry Charles.